I get asked how I style my hair A LOT. And it’s only recently that I’ve really been taking care of it. I’m pretty low maintenance, as most of you know, and even more so now that Peggy is onboard. 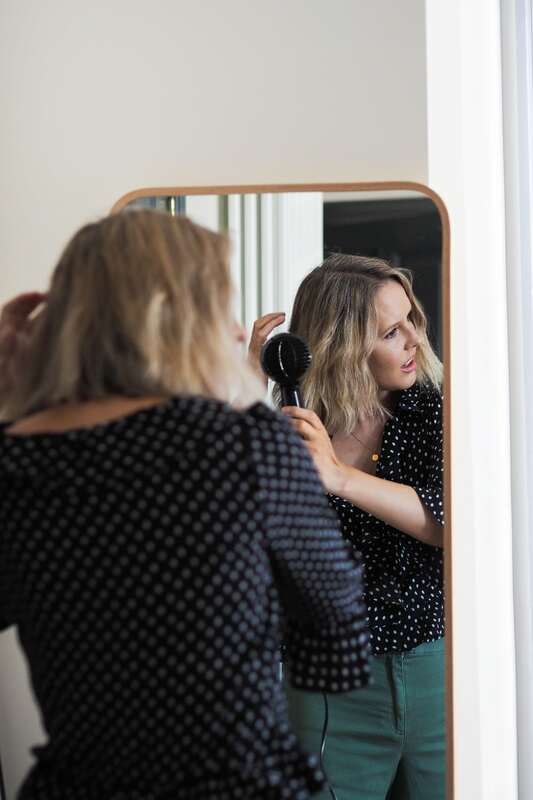 Yet doing my hair is the one thing I try and keep on top of and makes me feel like myself – even if I don’t get quite as much time in the shower as I used to! 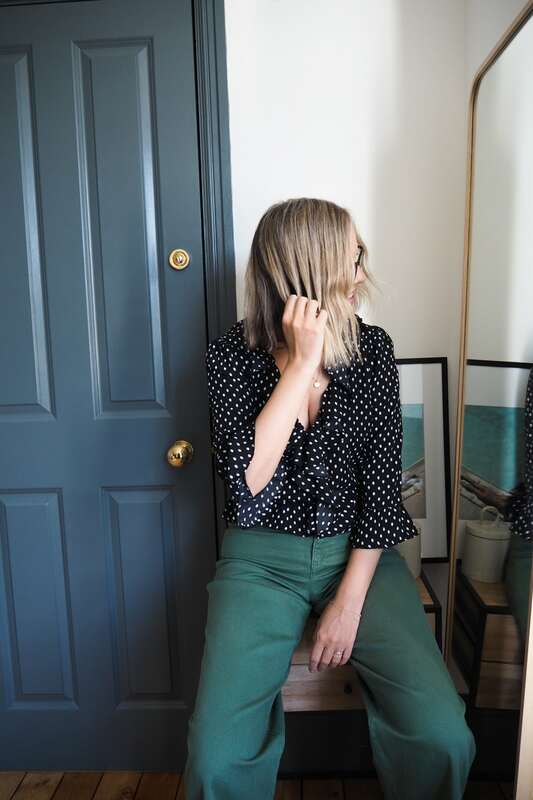 As a new mum, my beauty routine has been squashed into an almost non existent window but this 15 minute hair hack means I still feel pulled together but also have enough time for important stuff, like getting to meetings on time or play-time with Peggy. 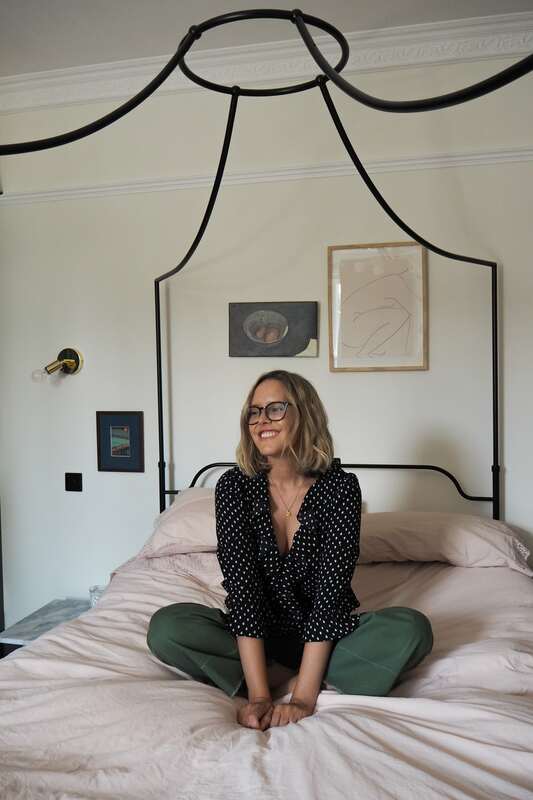 I have been using straighteners to curl my hair in the past but it wasn’t until I met Tresemme Ambassador Aaron Carlo that I learnt how to achieve the ‘beachy’ waves I have always been after. And it was so easy I’ve been practising at home and have got it down to a quick art…so wanted to share the easy technique. Keratin smooth shampoo. Keratin smooth conditioner. Keratin Smooth Deep Smoothing Mask. 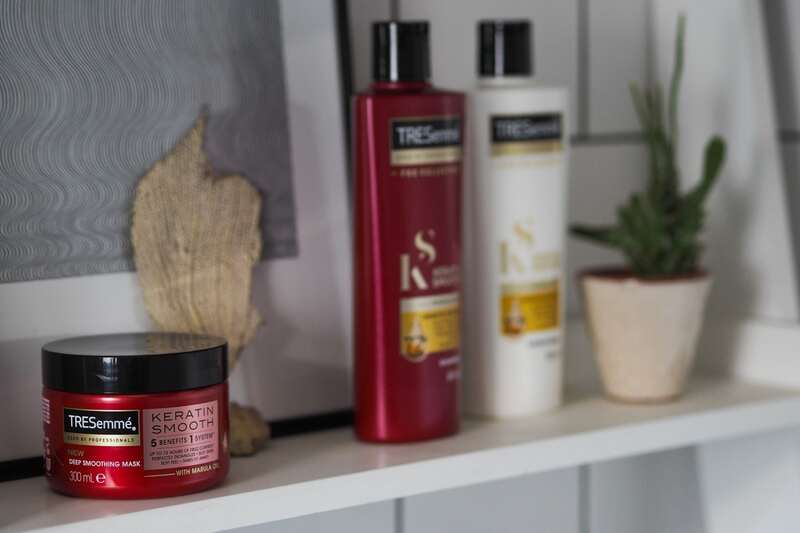 Through all the years of bleaching my hair, the frizz and split ends have been in need of some TLC so the Tresemme Smooth Keratin range is my go-to. 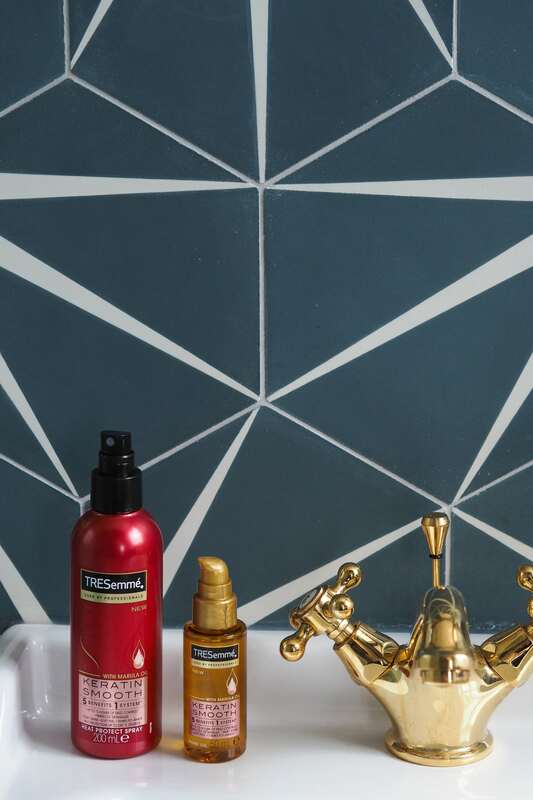 The shampoo and conditioner are regulars to help smooth my hair and lock in the shine and the Deep Smoothing Mask is great for a longer, deeper treatment – perfect for the weekends. Blow dry or air dry your hair. If I have time and just relaxing at home, I always prefer to air dry my hair – mainly to limit the amount of heat appliances but also because I like the finish. Often I wash my hair at night, let it dry naturally and then it has flattened by the following morning (in a good way). But if I’m in a rush I blow dry it very quickly and roughly, I don’t worry about sectioning or brushing it through (yes, VERY low maintenance). Since using the Keratin range my hair feels much smoother than before. Add the Keratin Smooth Shine Oil. Now you can use this on damp hair, or dry – I prefer to add it after blow drying as I can feel the ends which need more attention. Use a couple of pumps and smooth on your hair through to the ends. It helps lock-in the shine, control frizz and also helps set your hair for styling. I call it the ‘wonder product’. Section hair quickly. Don’t stress too much about this. I use probably 4 clips in total. Use the Keratin Smooth Heat Protect Spray, I spray each section before I use straighteners to achieve the ‘beachy’ waves. 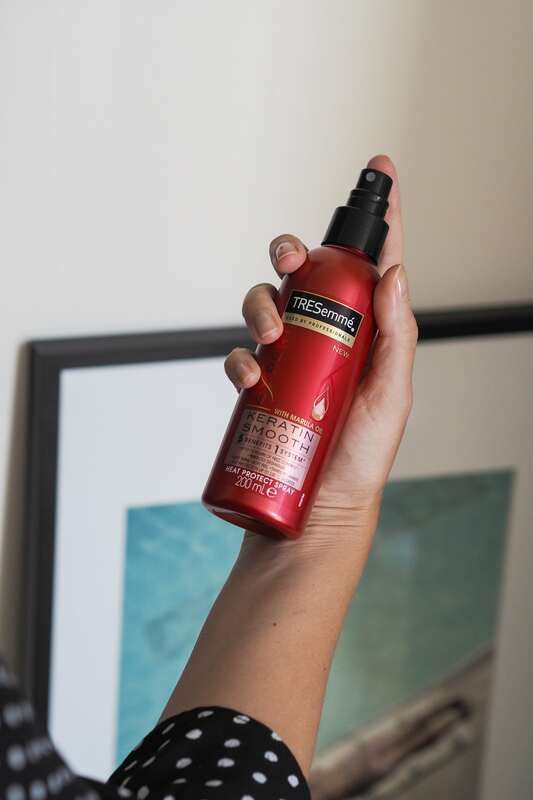 This protects your hair from heat damage and helps set the style (fun fact: when your hair steams from straighteners, it’s not your hair burning, it’s actually the heat defence product working its magic so that your hair, in fact, doesn’t burn!). This is a must-have product if you use heat products regularly. Curl your hair! 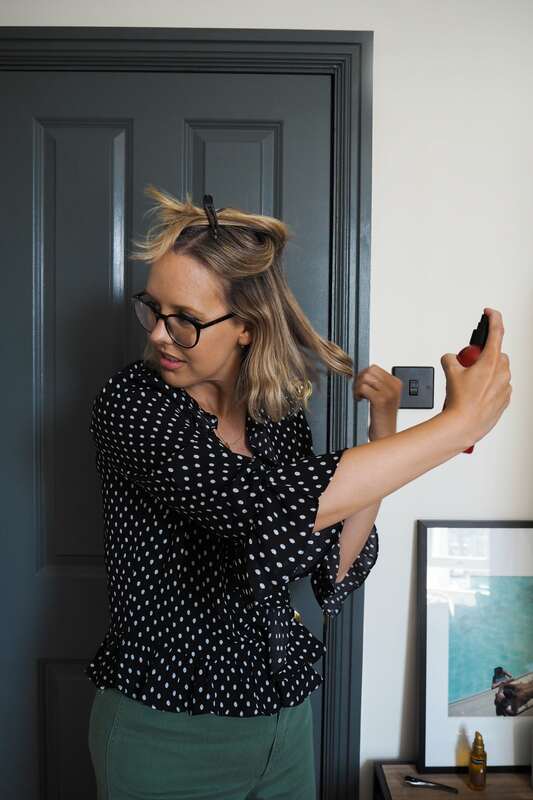 Now, the good thing about using straighteners is that you’re smoothing your hair in the process anyway – I used to straighten my hair first to get it smooth, and then use tongs to curl. This way you’re cutting out the smoothing section by using the keratin products, then the straighteners finish off the rest! Take a small section, then move the straighteners back and forth from the top to the ends. The key, here, is to keep the straighteners moving, so you won’t end up with a ‘kink’ in your hair. You can use as big or small sections as you like in the straighteners for the desired effect. I like to use smaller strands. One tip is to make sure the straighteners end curling the strand inwards, so our hair doesn’t flick out at the bottom. Keep repeating, and don’t worry if one bit doesn’t look how you want, you can just go back and do it again, I sometimes curl one strand a couple of times to get it right. Because I wear glasses, I curl the front strand normally so they frame my face a bit more. It does take a bit of practise, and getting to know your hair and how you like it but I can literally do this without looking in the mirror now and some mornings all I need is a top-up so it takes no time at all. 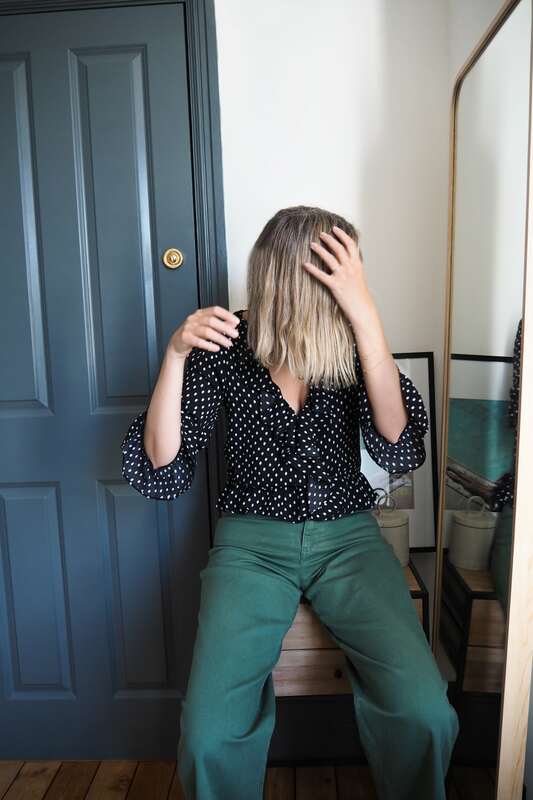 I hope this has been useful for you and encourages you to do your hair yourself at home – it has really liberated the way I get ready in the mornings and it’s so nice to feel like a version of me who feels somewhat fresh and ready for my week ahead. This was a sponsored post with Tresemme, I hope you enjoyed it! Love this but could you do a little video demo? That’s what we were going for – rather than a 10 minute video. Bit Harry Potter, isn’t it?! Looks so cool, I’ve always want this curly hair style, but before I was trying to use curl iron, which was not as perfect as this.. Thank you for sharing! I rarely care about style my hair, it’s almost natural 🙂 Love the way you curl your hair, gotta try it. Can you recommend any hair straighteners please? I’ve never used them but wondering if I should give them a try. Appreciate the detail in your post. Thank you.